Hi. I’m new around here. But you can tell that if you just listen to me for a little. I am just learning about socc…um…this sport. I know baseball, football (my kind!) and basketball well enough, but I’ve never really spent much time with soccer. 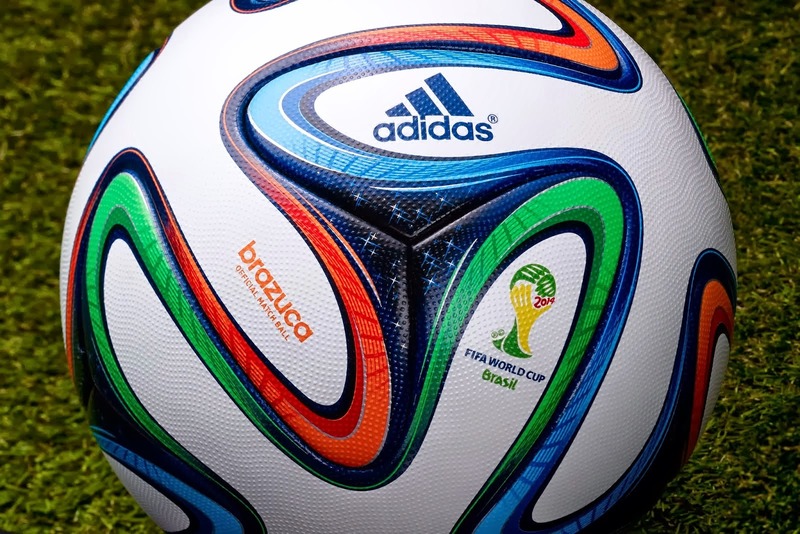 I am drawn to soccer because the World Cup has stimulated national pride, and it is a slow sports time of year for me. I guess I want to give something else a go. Another reason why I’m interested is because of friends who know and love soccer. Most of my friends who are interested in soccer are the kinds of people I like to be around, so I’m giving this a shot. The experience of getting in to soccer reminds me that there is often a big learning curve when trying anything new. The language of soccer is full of terms I don’t understand. For instance, who else calls their lineup a “side” or the uniforms a “kit?” The tactics of soccer are new to me as well. I am still trying to understand what the difference is between a 4-4-2 and the “diamond” that the USMNT is fond of forming. On the surface, soccer is the simplest sport on the planet, but there are textures and layers that make this a deep, cerebral sport as well. So what is making me stay with it? 1. A welcoming community. My friends who are in to futbol have accepted a neophyte like me. During matches I often text a friend or two who are more than happy to talk to me about tactics and some of the “game within a game” moves that are being made. I really enjoy their insight and it makes it fun for me. 2. Enthralling stories: The more I watch and learn, the more I find out about the stories around the game. Today, I watched a grown man bite another player. This was unusual behavior for sure, but within a few minutes I learned that this was the third time he’s done this! 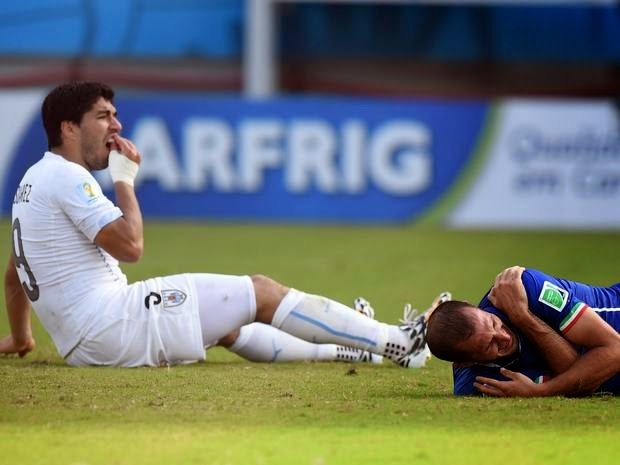 Sorry Suarez. You are going to have to walk alone on this one. Then there are the stories I am learning surrounding my USA team like the Donovan decision, and the sometimes enigmatic Jurgen Klinsmann. Dempsey is a hero with a broken nose. Altidore is a tragic figure. Bradley is playing for redemption and on and on. I am interested in the matchups and the matches more because I am learning the stories surrounding the sport. 3. High stakes: The World Cup has the highest stakes of all the sporting events in the world. With soccer being the world’s most popular sport, the World Cup provides all the drama one could hope for with the highest international honors. Who couldn't want their country to do well in this tournament? My experience as a soccer newcomer makes me think about those who are new to following Jesus. I have been a Christian my whole life. I cannot remember a time when I did not know about Jesus, but I understand that following Jesus can make one feel like an outsider with a steep learning curve! The language we Christians use can be dense. We do things that don’t make sense. We talk about sacrificing time on Sundays for worship where we do things like sing publicly. Who does that? We intentionally step back from our maximized lifestyle by committing to give of our finances to others. This doesn't make sense. We believe that we can have direct access to God in prayer. And then there are complicated doctrines that make PhD candidates sweat. Following Jesus can be complicated. I get it. But here’s why I think you should stick with it. 1. A welcoming community: When you follow Jesus with others you will find a community that will accept you, care for you, and show you the love of Christ. My life has been so thoroughly shaped by the community of Jesus followers that I cannot imagine me without the Church. 2. Enthralling Stories: Face it. The claim that Christians make is the biggest story ever told! We believe Jesus, the Son of God, died on a Roman cross but God raised him from the dead. This cycle of resurrection is the core story of Christians and we find ourselves riffing this tune continually. The possibilities that open up when we live resurrection are endless and engaging. Christians should tell the best stories. 3. The Highest Stakes: We believe that God is restoring all things and God is using the Church as agents of this reconciliation. Christians can sense that all time and creation is heading someplace. And we want to be a part of what God is doing! If you are getting in to Jesus, I encourage you to find a community, hear the stories, and pay attention to the high stakes. I think you will find this the most meaningful pursuit in life! Jordan Hubbard is the senior minister at the Belton Church of Christ in Belton, TX (in Central Texas). He is married to Debbie and they have 3 children. Jordan enjoys baseball and football (the American kind) and is just learning about futbol. He's a Dallas Cowboys fan, so he's accustomed to having his heart broken. You can check out Jordan's messages at www.beltonchurch.com and when he blogs it is at www.jordanhubbard.wordpress.com. You can also follow him on Twitter @jordanchubbard.